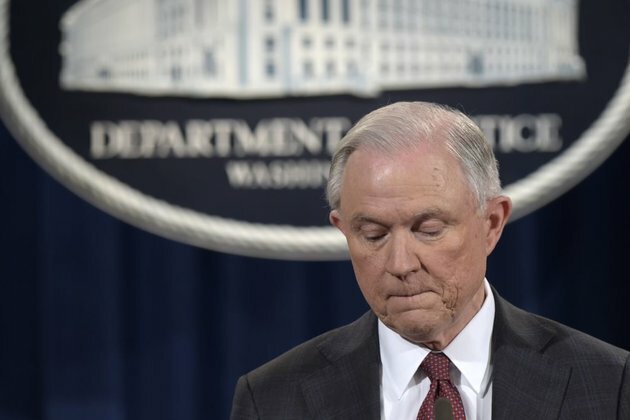 Sessions announced his resignation Wednesday at Trump's request, and the president chose Sessions' chief of staff Matthew Whitaker to serve as acting attorney general. Organizers are demanding Whitaker recuse himself from overseeing the investigation by special counsel Robert Mueller, citing his past critical statements that they say show clear conflicts of interest. They also want Congress to take steps to protect the special counsel's office. He also said there was no real evidence to support allegations Trump obstructed justice, and in an opinion article for The Hill newspaper he said Trump made the "right decision" by firing FBI Director James Comey in 2017. Comey at the time was leading the FBI's investigation of Russian election meddling, and his firing brought conjecture that Trump did so in order to thwart the probe. Days after ousting Comey, Trump said he was thinking of "this Russia thing" when he decided to dismiss him. Mueller was soon appointed to take over the investigation. Trump has repeatedly criticized Mueller's probe, calling it a "witch hunt" and denying he obstructed justice or that his campaign colluded with Russia.